EdiPure is a respected brand among edible brands. Among the first companies to be licensed for the production of edible medical cannabis as early as 2010 making it one of the oldest and the largest in the US. One of the factors responsible for the uniqueness of EdiPure product is the process of producing each product. Apart from infusing the specific amount of THC extracted using lab grade reagents and methods for making each product, making consumers get the required benefit from each edible, the edibles are also individually tested to ascertain they have the best quality. EdiPure edibles are potent alternative medicine for chronic pain conditions, anxiety and depression and insomnia. A proprietary approach used through the infusion of THC into the edible reduces the cannabis taste to become less noticeable in all EdiPure products. EdiPure products are made of different dosage of THC to soothe the need of various patients whether new or old. Using a 3-day infusion process which is the first in the edible industry, EdiPure takes great care to ensure each product come out to the best quality and standard. To infuse the right dose of THC into each product, EdiPure starts by using the safest extraction technique to extract rich THC crystals from marijuana plants. These crystals are double heated in two stages until the finest EdiPure Elixir is produced and this is eventually infused into edibles free of any form of contaminants and potency not compromised. With the meticulous process of production, a high level of accuracy is achieved and the consistency in dosage is guaranteed. Patients can consistently adjust their dosage intake as they progress in medical usage. 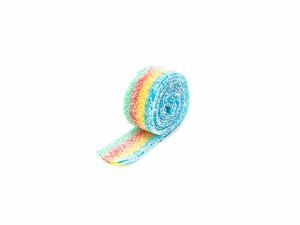 EdiPure gummies comes in various sizes and shapes with many flavors to the delight of consumers. Also are varieties of dosage for each product to suit varying patient’s intake capacity. 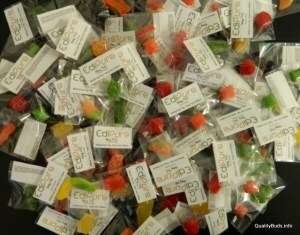 Listed below are EdiPure gummies and their corresponding available dosage.